Abbey Farm Holiday Homes in West Cork were originally the eighteenth century homestead of a strong tenant farmer. The original farmhouse, stables and barns have been beautifully renovated and furnished to provide a complex of four exclusive holiday cottages, offering comfortable, relaxing, four star accommodation. Two of the cottages have been designed to cater for the comforts and needs of people with disability. Situated around a central courtyard, the cottages are adjacent to a present-day, working, dairy farmyard. Taking their name from the nearby ruins of the 13th century abbey of Mainistir na Strutha, Abbey Farm Holiday Homes are situated just one mile from the town of Skibbereen and are an ideal base for exploring south-west Cork. Ballydehob, the gateway to the Mizen Peninsula, is only ten miles to the west, on the N71. 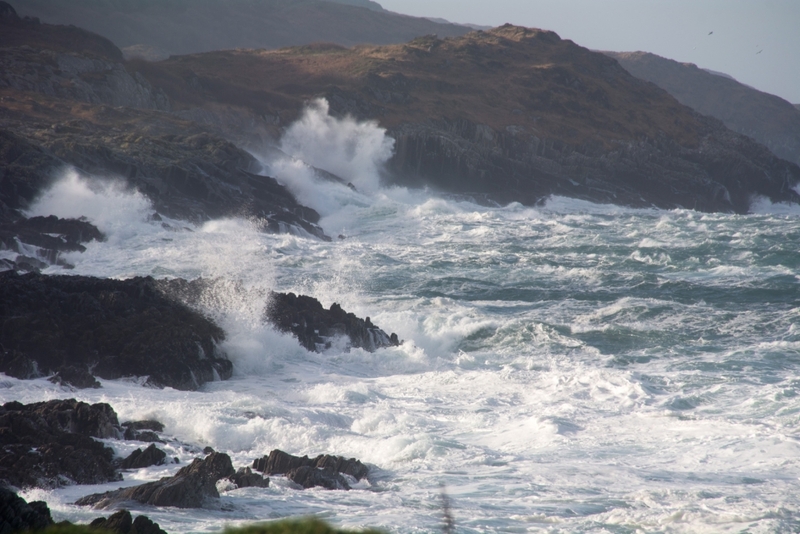 From there the “Mizen Drive” takes you out along the scenic peninsula, through the coastal villages of Schull, Goleen and Crookhaven, to the golden sands of Barley Cove and the dramatic Mizen Head, the most south-westerly point of Ireland. Eight miles to the south of Skibbereen is the enchanting sea side village of Baltimore, nestling under the recently restored O’Driscoll castle. The wide range of facilities here include, sailing courses, boat hire, scuba diving, sea angling and sea kayaking. Ferries run from here to many of “Carbery’s Hundred Isles” in Roaringwater Bay, including the Gaeltacht (Irish speaking) island of Oilean Cleire (Cape Clear). Also about nine miles from Skibbereen is the village of Castletownsend, steeped in history and one time home of the famous Anglo Irish author, Edith Somerville. Other villages well worth visiting are the fishing village of Union Hall, where whale watching and angling trips are available, and the picturesque village of Glandore perched over its beautiful harbour. Further east are the long, sandy surfing beaches of the Rosscarbery and Clonakilty areas. Many of the towns and villages in the area hold annual festivals and regattas during the summer. Skibbereen itself, with a population of approximately 2500 people, is a bustling shopping and business town with all the facilities, services and cultural attractions of a prominent provincial town. Of particular interest are the Skibbereen Heritage Centre, the Uilinn West Cork Arts Centre, and for the more energetic, the Skibbereen Sports Centre. Golf, pitch-and-put, fishing, horse-riding, hill walking, cycle and car hire are all available locally. Historical walking tours and lectures are often provided by the local historical society. There are many good restaurants and several of the pubs provide live entertainment and informal, traditional music sessions with local musicians and singers. There is a popular night club in the town and a number of efficient taxi services. Cork Airport is just over one hour’s drive away!